Gill is passionate about helping teams and individuals to flourish. 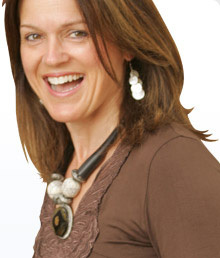 She has helped clients make better decisions for themselves and their businesses, develop more effective relationships, manage performance issues, increase self- and other-awareness and broaden their thinking and behavioural styles, manage change and uncertainty, and navigate their career and personal development. Gill’s first career was in the construction industry, working as a Chartered Landscape Architect, where she spent 15 years in public, private and charity sectors the UK, Australia, Africa and the Seychelles, managing stakeholder relationships on medium to large scale developments. Gill is a qualified executive coach and MBTI Practitioner, a Master Practitioner in NLP, Timeline Therapy™ and Hypnotherapy, and is a member of the Institute of Leadership & Management, International Coach Federation and Association for Coaching.